It is sad when facing basic reality is a moment to rejoice. The Obama administration, which proved unable to distinguish between friend and foe, resisted the effects of the clue bat on the Iran issue. The Trump administration is not similarly deluded. After Spongespine Spandexpants gave us the horrendous Iran nuclear deal in which Iran pretended not to want nukes and the Obama administration pretended to believe them, this simple recognition of the obvious is a welcome relief. Opposing Iran will be hard. Letting Iran run free to nukes would be far worse. The AFRICOM commander is not happy to have the Chinese as new neighbors for our base in Djibouti. We could add a mobile component to escape that scrutiny. “We’ve never had a base of, let’s just say a peer competitor, as close as this one happens to be. so there’s a lot of learning going on, a lot of growing going on. Yes, there are some very significant operational security concerns, and I think that our base there is significant to us because it’s not only AFRICOM that utilizes” Djibouti, he said, noting it’s also used by CENTCOM, Special Operations Command and EUCOM. Some U.S. allies also use the base when they operate with the US military. I'm not real comfortable with the Chinese being able to watch over us so continuously. Who knows what they might learn from us or who they'll tip off just to take a shot at us. AFRICOM should create a power projection platform that can avoid prying eyes by equipping a Modularized Auxiliary Cruiser for drones, land attack missiles, and special forces capable of moving around and avoiding wandering Chinese observers on land. We could yet get The AFRICOM Queen (see page 50) modularized auxiliary cruiser to evade Chinese surveillance. Or to engineer what we let them see. The word is that the Obama administration "pivot" to Asia is over as a term. There is some unease over this change in terminology. But that ship pivoted long ago. However, [Acting Assistant Secretary of State Susan] Thornton — speaking on the eve of Secretary of State Rex Tillerson’s first visit to the Asia-Pacific region — stressed that the new administration remains committed to the region, even if the flavor of that commitment may change. But the need to reinforce Asia and the Pacific is not dead. In my opinion, the Pivot to Asia and the Pacific was really a cover for President Obama to pivot away from the Middle East. But that proclamation that wars in the Middle East were "responsibly ended" was premature and the once-quiet European theater heated up a lot. So now we are pretty much pivoting to everywhere, making a concept of pivoting away from vanquished threats to dealing with a rising threat rather pointless as a concept. Japan's ruling party urged the government Thursday to consider arming the country with more advanced and offensive military capabilities, such as striking enemy targets with cruise missiles, further loosening the self-defense-only posture Japan has maintained since the end of World War II. I find this amusing. Japan is too cautious to arm up in the face of China. But by pointing to the North Korean threat that China has supported for so long, enjoying how it made Japan, South Korea, and America squirm, Japan has an excuse that China can hardly oppose too strongly. Will China actually deal with their little problem child to undermine Japanese, South Korean, and American moves to resist North Korea that are also very useful against a Chinese threat? I've long felt that if Ukraine wants to fight Russia to push the Russians out of Ukraine, we should help arm the Ukrainians. Our top general in Europe wants to provide lethal arms. The only way to get Russia out of the aggression business is to send body bags back to Russia. The top U.S. military commander in Europe again backed sending more advanced weaponry to Ukraine to help it in its fight against Russia-backed separatists. The article mentions Javelin anti-tank missiles. That's a good idea given the large amount of armor that the Russians and their hand puppets field in the Donbas. For a bunch of so-called separatists, they have a lot of modern Russian weapons. Odd that is, no? I don't think we need to worry about supplying the big ticket items like fighter aircraft or heavy armor. Ukraine has plenty and if we support our new NATO allies who have experience with old Soviet stuff, Ukraine is fully capable of upgrading their own large stockpiles of old Soviet-designed armor to fight the Russians. That "stability" also leaves Russia free to use what they stole as a launching pad for new conquests when Russia rebuilds their military enough to do so. And the objection assumes Russia can escalate at will. Russia faces limits on the size of the force they can field given their military's narrow scope of sufficiency in training and equipment. You have to consider that Russia may not have escalated already because it would be too hard to do so. Also, Russia is far more sensitive to casualties with their declining population. Russia is no democracy, but it is far from the stoic obedient empire that would follow a dictator's orders to win even if it costs 30 million dead as it was under Stalin in World War II. We need to fill gaps in Ukrainian defense capabilities to make them more effective in lethality and in survivability. Russia won't leave Ukraine unless pushed out. Javelin anti-tank missiles would be a good start. *I can't rule out that Ukraine's leaders don't really want to expend the effort to expel the Russians and that lack of more lethal support from the West is a convenient excuse for inaction. But I don't know. UPDATE: Is it my imagination or are there more explosions inside Ukraine lately? Ukrainian President Petro Poroshenko has ordered the military to implement a cease-fire and weapons pullback in the conflict region in eastern Ukraine beginning on April 1. Poroshenko made the announcement on March 30 in Malta, where he was meeting with European Commission head Jean-Claude Juncker. The outlines of a new world emerging from the post-Cold War placeholder are described in an article I just finished. Which is interesting. But about that imperial overstretch notion. Okay, do read this. But what about this? The strategic certainties and alliances of the post-Cold War world are all now facing severe challenges. The certainties of the period of globalization are clearly contested on many fronts. The causes of this crisis are multiple. I know a lot of people like to accuse America of faltering due to "imperial overreach" (aka "imperial overstretch"). It provides bonus damage by implicitly saying America is an imperial power like land-grabbing empires of the past. But the imperial overstretch notion as applied to America in this era is wrong. America's defense burden has declined in this post-Cold War era (pre-whatever era we are seeing emerge) even as our relative power has experienced a period of expansion before declining again as our military power retrenched and the power of potential foes increases. Yet even now our relative power is dominant (although not invincible, to be clear). The idea that wars in Iraq and Afghanistan stretched us past the breaking point is nonsense. We committed far more troops and suffered far more casualties in wars in Korea and Vietnam in eras when our relative power advantage was much smaller. So saying that now the environment shows we broke under the strain of fighting in Iraq and Afghanistan is based on nothing more than a long-held hope for some that finally somebody else (more deserving) will be dominant. Really, at the most basic level the new environment seems to be one in which traditional power politics is replacing the Cold War polarizing Western versus Soviet communist environment that pushed actors into one of two rival camps in that era. And on the aspect of redrawing of borders drawn after World War II in the Middle East, this is no solution. After close to a century of adapting to those borders and an international system that made those borders mean something, simply drawing new borders there will create more problems that run counter to the adaptation of people and states to those "artificial" borders that have a reality that did not exist when drawn. Read it all. But at some level the dramatic problems highlighted just seem like the result of time healing all wounds. We forget the severe challenges of the past and assume at some level that because they were overcome in the past that they were minor issues compared to the huge and complicated problems we face today with no idea how they will be resolved!!! Anyway, America will be the major player in whatever new environment emerges to define the new era. As I've long noted, even in a world where power is more evenly distributed, America will have the most uncommitted power able to be sent to tip the balance in any struggle around the globe--even in regional theaters where rivals have the most power. Don't panic. Just work the problems. Now, surrounded by generals who have been at the center of a decade-long shift to rely on Special Operations forces to project power without the risks and costs of large ground wars, he is choosing to maintain the same approach but giving the Pentagon more latitude. Which is nice if it works--and if it doesn't burn out our special forces. Remember that this was the approach that Bush took in Afghanistan in 2001 but which Obama rejected with two surges in 2009. Heck, it worked in Kosovo in 1999 under Clinton (although we can debate the impact of the growing threat of conventional intervention). And while the Obama-Trump special forces emphasis is intended as a rejection of the Bush experience in Iraq (and the Obama experience in Afghanistan), it is also possible because unlike in Iraq from 2003-2007 or in Afghanistan in 2009, we have local allied forces sufficient for the mission that we can support in Iraq, in Syria (for the ISIL mission, at least), and in other locations like Somalia (where international missions train local Somali forces despite the weakness of the state) and other locations in Africa that have governments and militaries to support..
As for the problem of burning out special forces, conventional forces could take on some missions like training more established local militaries, calling in firepower for local forces in combat, and advisory missions that accompany local forces into battle. The paratroopers comprise two infantry companies and a route-clearance platoon from the division's 2nd Brigade Combat Team, according to a U.S. defense official, who spoke to Military Times on the condition of anonymity. They are scheduled to depart from Fort Bragg in North Carolina on Tuesday. At the very least, it is intensifying the plan that the Obama administration had in place in ways that are, on the whole, welcome, even if they also carry greater risks. I assume that for those who fear that Trump would go on a global spasm of killing once in office that this kind of basic continuity is comforting and that they will quietly shelve their plans to sneak across the border to Canada (funny they never talk about seeking refuge in Mexico). Question: Do the people who sport COEXIST bumper stickers on their cars feel that way toward "deplorable" Trump voters? Let the anguished "why do they hate us?" debate commence! UPDATE: Revoltingly, the answer to the question for some at least is a resounding "no." Ah, tolerance and compassion! How do those people sleep at night? Certainly, Russia is not "back." I've said that even before the Ukraine crisis. Russia is just aggressive and blessed with weak neighbors in the west. Although I disagree with the idea that Russia's Syria base is less than worthless. In a full-scale long war, it is surely subject to isolation and destruction. But in peacetime it helps Russia project power into the eastern Mediterranean Sea to screen Russia from threats from this quarter. And in war it would take time and Western resources to reduce the Russian military threat there. Further, if Russia makes enough gains, perhaps Turkey decides it is not worth risking Russian wrath to block supply lines. Experts on national security painted a sinister picture for senators examining Russian meddling in the 2016 election, detailing the worldwide impact of fake news, smear campaigns and even killings they say could have ties to the Kremlin. This is a longstanding and broad problem that Democrats only noticed when they were the target (and not that I believe Russia believed their effort would get Trump elected--they could read polls as well as the rest of us, and simply hoped to damage Clinton while damaging the appeal of our democracy as a model). Let's review civilian casualties in warfare and what true compassion might require. Have American forces increased civilian casualties in Syria and Iraq because of looser rules of engagement? Taken together, the surge of reported civilian deaths raised questions about whether once-strict rules of engagement meant to minimize civilian casualties were being relaxed under the Trump administration, which has vowed to fight the Islamic State more aggressively. This author says that it is horrible that the rules have been changed to the "minimum required by international law." That is, what we are doing is perfectly legal. If only other countries fulfilled this minimum requirement. We deny the rules have been loosened. I suppose it is possible that practices are liberalized even without the rules being loosened formally. Or it might be bad luck. Or just the result of different conditions that make civilian casualties more likely (like more densely populated parts of Mosul). Remember that it is not illegal if civilians die during combat operations--unless like strikes conducted by the Russians and Assad, civilians are the target. Indeed, if civilians die because they are unlawfully kept near enemies when we fire weapons at the enemy, the fault of those civilian deaths lies with the enemy who embraced civilians and not with our forces who dropped the bomb. Strikes that risk or will result in civilian casualties can be illegal if the attack is disproportionate to the threat. A hyperbolic example I like to give is that when faced with a sniper operating from an apartment building, it is not lawful to drop a tactical nuke on the building, killing many civilians, to destroy the real threat of a sniper. A nuke is not proportional. But a tank round into the window is likely legal even if a child is huddled in the bedroom and is killed in the blast. The enemy should have evacuated the child, not fought near the child. We are not under a legal obligation to allow our troops to be killed by the sniper behind the shield of potential civilian deaths. But even apart from the question of the rules of engagement and the responsibility for civilian deaths, if the rules of engagement have been loosened by one means or another, it is not appropriate to say that loosening the rules results in higher civilian casualties. It is false compassion to say that very tight rules of engagement and very tight application of those rules that reduce casualties from our firing to a 2 or 3 per day is better than rules that result in 100 per day if the looser rules end the war much faster. If we wage a two-day battle that defeats the enemy and ends the battle but kills 200 civilians, is that really worse than a 100-day battle--longer because the enemy isn't being hit as hard as it could be--that kills 2.5 civilians per day (so 250 total dead)? And how many more civilians die from other causes in that extra 98 days of fighting from enemy executions, accidents, disease, lack of medicine for treatable conditions, hunger, thirst, suicide, or the perils of becoming a refugee (like dying in a sinking boat trying to reach Europe)? Seriously, was it compassionate to have refused to get involved in the Syrian civil war 5 years and 450,000 dead ago out of fear of "further militarizing" the conflict as our secretary of state put it? Was that truly the compassionate decision? I've made the same point in regard to force protection considerations for our own troops. The issue is valid for unintentional civilian deaths, too. You might feel better about the ugly situation with tighter rules of engagement--or by just staying out and letting the locals sort out the problem--but objectively more people might die. What is really the compassionate course of action? Islamic State has flooded YouTube with hundreds of violent recruitment videos since the terrorist attack in London last week in an apparent attempt to capitalise on the tragedy, The Times can reveal. The terrorists capitalize on the attack because they don't consider it a tragedy. That's what they do. You will never find an American military recruiting campaign centered on any accidental tragedy that kills civilians while we are trying to kill jihadis. That difference matters. So let's get on with the job of killing jihadis. That's the compassionate thing to do. UPDATE: LTG Townsend addresses the issues around casualties and responsibility. Yeah, I'd like to say something before we close it out here. A little disappointing to me that all the questions were about our airstrikes and our process and our decisions. And it almost seems to me like it was completely lost on everybody, and I hope it's not lost in your reporting, what I said about who is killing innocents here in Iraq and Syria. If -- if these innocents were killed by the coalition, it was an unintentional accident of war. And ISIS is slaughtering Iraqis and Syrians on a daily basis. ISIS is cutting off heads. ISIS is shooting people, throwing people form buildings, burning them alive in cases, and they're making a video record to prove it. This has got to stop. This evil has got to be stamped out. And in my mind, all the responsibility for any civilian deaths, the moral responsibility for civilian deaths in Iraq and Syria belongs to ISIS. I will close with that. Thanks. No further comment on that is necessary. UPDATE: Defeating ISIL requires an acceptance of civilian deaths in the process. For all the claims that somehow we should reduce civilian casualties for the sake of compassion, the fact is that the only way to reduce civilian casualties from our fire support is to leave ISIL in charge of Mosul or insist that Iraqi troops fight only with their personal weapons--driving their casualties skyward. Either of those "solutions" is compassion in action? The Army is still pursuing light vehicles. Although it is unclear if that is just part of the objective. Let's hope the Army doesn't again believe the wonder tank can be built. Moving forces from the continental United States to any battlefield and then supplying them is a tough job for the Army. The dream of a survivable tank light enough to be airlifted to the battlefield (as if the Air Force would build the lift to make that matter) and making for a better logistics problem persists, it seems, but has remained out of reach. The concept reached a recent peak with the Future Combat Systems (FCS) program that crashed and burned. Before that idea fell apart stretched between the contradictions, I argued the dream of the wonder tank would not be built (see "Equipping the Objective Force"). The U.S. Army is seeking lighter armored vehicle concepts to better prepare for fighting in future battlefields, the service announced. Lighter combat vehicles, Army officials say, support the branch's strategy for placing a heavier emphasis on armored mobility. I will say again that armored mobility is not enhanced by a vehicle light enough to be easily killed by the enemy. A slower but heavily protected vehicle will be more mobile than a light but burning vehicle that is not going anywhere. Not that a lighter vehicle isn't useful for some missions. But the Abrams and Bradley combination has proven its value and the Army needs to find a way to replicate their protection in the face of new threats. The siren song of strategic mobility must be resisted if the end result is just strategic defeat on a distant battlefield. “I think for the very near term, the Abrams is still near the very top of its class,” said Lt. Gen. John M. Murray, deputy chief of staff for financial management, referring to the third-generation tank built by General Dynamics Corp. that entered service in 1980. But really, that's long been the case. The Leopard II, Challenger, and Merkava are excellent and have long been in the same league as the M-1 Abrams. And they are allied tanks. The Russian T-90 as a modernized Soviet T-72 may approach in some capabilities but it is no match. And the new Russian Armata is a concept vehicle in no danger of being fielded. The wonder tank can't be built. But the M-1 is getting old as is its partner the M-2/M-3 Bradley, which need to be replaced to keep our heavy forces going in the future. Or will it? The wording is unclear. Right now the Bradley can carry 7 passengers, I think. But the 3 squads are split among 4 vehicles, so the dismount capacity is not fire team-based. Does the plan mean that the squad will be 6 strong split into 2 3-man fire teams, meaning the new infantry fighting vehicle carries 4 or 5 (allowing room to jam in squad leaders, a platoon leader, and a platoon sergeant)? Or does the plan mean that each vehicle can carry 6, allowing for two 4-man fire teams plus extras? If the latter, then the plan to operate as mounted could be done today with the Bradley by adding two more Bradleys to each platoon. I'll have to watch for more information on this. China Can't Invade the Most Core of Core Interests? I'm tired of hearing that China can't invade Taiwan. Such judgments require an America-centric analysis that at its heart says that only post-1940 America's Marine Corps is capable of conducting amphibious invasions of any size. Dennis Blasko, author of The Chinese Army Today, observes that the CCP's ground forces, like the navy, are not yet ready for the ultimate fight. For invasion to be a realistic option, China would have to have far more helicopters, paratroopers, special operators, amphibious mechanized divisions, and marines. Moreover, the PLA would need to build a solid non-commissioned officer corps and provide better training to unit leaders up and down the entire chain of command. I guess the PLA didn't conquer the island of Hainan in the civil war. I guess the Germans didn't conquer Norway and Crete in World War II and that Japan didn't conquer the Philippines in World War II. I guess there were no American amphibious operations in Europe during World War II because there were no Marines deployed in Europe for that mission (and certainly no helicopters!). Indeed, I have to assume there were no amphibious landings in history prior to the introduction of helicopters, paratroopers, and mechanized divisions--the possession of which is an absolute requirement, I'm to believe. I must assume that three Chinese airborne divisions in an airborne corps isn't enough to invade. China can invade Taiwan--going right for Taipei--if they are willing to endure the casualties required to do it. In 2004, apparently 21,000 dead was too much to pay. And what happens if "only" capturing the biggest core interest of China isn't the objective of the invasion? What if the Chinese people become so upset at faltering economic growth that rallying the country around the Chinese Communist Party against a foreign enemy to maintain its monopoly of power is the objective? What level of casualties would be acceptable to China's rulers in that case? Would even losing such a war be an acceptable price to pay if the CCP retains their monopoly of power? Saying that China can't mount an invasion that would look like one of our World War II amphibious invasions isn't the same thing as saying China can't invade Taiwan. The Chinese marine corps is a red herring when it comes to Taiwan. And given that even America lacks the amphibious lift to conduct a large-scale invasion these days, I guess nobody can invade anybody? Is that the argument? Wang Ting-yu, chairman of the defence committee in Taiwan's parliament, said Chinese spies were masquerading as academics or business people. He claimed Beijing was trying to sow chaos within Taiwanese society. China considers the self-ruling island territory that must be reunited with the mainland - by force if necessary. Taiwan needs to arm up and train like their life depends on it; and we need to be ready to intervene before China is ashore in force on Taiwan and rattling nuclear sabres to keep America and Japan from intervening to halt and throw back the invaders. China doesn't need to complete their conquest of Taiwan the way Russia conquered all of Crimea in one nearly bloodless operation; China just needs to successfully grab part of Taiwan prior to a ceasefire to advance their territorial claims the way Russia has just part of the Donbas in eastern Ukraine. "Separatist Taiwan independence forces and their activities are the greatest threat to peace and stability in the Taiwan Strait," Chinese Defence Ministry spokesman Wu Qian said at a monthly press briefing, according to Reuters. "It is futile to 'use weapons to refuse unification,' and is doomed to have no way out." Note too the Chinese logic. When the Chinese storm ashore, the threat to peace and stability comes from Taiwanese resistance and not the Chinese invasion. I mentioned that the post-caliphate ISIL era in Iraq and Syria is looming. Which is not to say the wars are over, of course. The Islamic State is weakening, which indicates that we should examine the future of the declining caliphate’s sphere of influence. A weak IS will create an opportunity for other factions backed by their respective regional powers to fill the emerging power vacuum. The United States and Russia are trying to limit their exposure and secure their influence in the Middle East, but the definitive actors in Syria will be exerting influence within its borders. Geopolitical Futures has identified four major powers in the Middle East: Turkey, Israel, Iran and Saudi Arabia. The first three have a deep interest in how the different factions will reposition themselves in the post-caliphate battlespace. Turkey, Iran and Israel are already preparing for this, and we need to examine how these dynamics will affect the Levantine region. Given Iran's interests and given Saudi Arabia's intense interest in resisting Iran's drive for regional hegemony at Saudi Arabia's expense (and existence), I think Saudi Arabia should be in that list. That's why we suffer the most. That's why we need to work and cooperate with our allies. On top of the list comes the United States, the leader of the world. Today, we are very optimistic under the leadership of President Trump and we believe these challenges will be easy to tackle under the leadership of the president. We are ready to do anything that will eradicate terrorism, anything without limits. I'm guessing that practically speaking the Saudis will place limits at special forces and air power. But with experience in the Yemen campaign, they might have a more expansive view of what they can do in Syria. The article on the post-caliphate era says that the Syrian Kurds get abandoned in the emerging era. Perhaps. The point that other objectives can outweigh the value of Kurdish friendship has long been true--see how we abandoned Iraqi Kurds in 1975 when the Shah of Iran used them to leverage a better border deal with Iraq. And while I've long said there are limits to what we can expect the Syrian Kurds to do, we need the Iraqi Kurds to resist Iran in Iraq. And Iranian Kurds are a potential point of leverage to weaken Iran. So that limits the scope of abandonment of Syria's Kurds. And if Turkey goes full anti-West to be the new caliphate, that undermines the logic of abandoning Syria's Kurds for the greater objective of Turkish friendship. Oh, and while ISIL was driven from their sanctuary in the Sirte region, they still live in the grey areas of Libya beyond the control of any organized sub-state actor or entity that has ambitions to control the state. I'd have a Lexington Rule to attack terrorists such areas. Come to think of it, while we never did it in Pakistan, the Syria campaign against ISIL is pretty much a Lexington Campaign, eh? Remember, we didn't declare war on Nazi Germany in Germany and France. We fought them wherever we needed to without separate authorizations. Remember, victory over ISIL's caliphate just punches our ticket to deal with the next problem. The Saudis may think that way, too, with Iran looming. The Iraqi prime minister now wants America to remain in Iraq once the main enemy is defeated on the battlefield. This is progress if President Trump agrees unlike President Obama in 2011. President Trump and I discussed how to build upon the Strategic Framework Agreement our two countries signed in 2008. We ask the United States to join us in urging the international community to fulfill its funding pledges to secure and stabilize our communities and prevent ISIS and al-Qaeda from reemerging. We also need U.S. know-how and investment as we revive our economy and renew our democracy. In the spirit of our 2008 agreement, we want to engage in a partnership that involves political, diplomatic, defense, security, educational and cultural cooperation. Over the past few years, military advisers from the United States and other coalition countries have helped Iraqis turn around our armed forces so that we can fight and win our battles ourselves. Now, we ask Americans to assist us as we restore our infrastructure and diversity and partially privatize our economy. We need U.S. investment to rebuild our housing, hospitals, schools, sanitation facilities, roads, highways and bridges. We can also benefit from Americans’ technical expertise as we improve and expand our telecommunications, information technology and health-care sectors. Iraq needs U.S. financiers and corporate partners to help us develop agriculture, petrochemicals and other industries. President Obama blamed the Iraqis for not getting a status of forces agreement in 2011. But as I've reminded people, it is misleading for President Obama who ran for office in 2008 on getting out of Iraq as fast as possible and who boasted about leaving Iraq in his 2012 reelection campaign to argue post-ISIL that in between those two dates he really, really wanted a SOFA but the Iraqis refused to give it to him. How convenient was that, eh? Note that President Obama got a SOFA after the rise of ISIL in 2014 to cover our participation in Iraq War 2.0 even though it is not in the form he insisted it had to be (approved by Iraq's parliament) in 2011. Abadi even wrote that Iraq needs American help to strengthen rule of law and fight corruption! I know I've droned on and on about this issue for more than a decade now, but here we are. And in a reference sure to warm the heart of Eric at Learning Curve, Abadi referenced the US-Iraq 2008 Strategic Framework Agreement that was supposed to guide the scale and scope of America's presence until Iraq could stand on its own, even absent a parliament-approved SOFA that President Obama once pretended was necessary to remain engaged in Iraq. Iraqis deserve a better future than they've had under Saddam's brutal rule and under assault by Sunni jihadis aided by Syria and Shia jihadis backed by mullah-run Iran. Let's bolster the Iraqis who want to build that future free of jihadi killings and Iranian dominance. And Arabs in general across the Middle East deserve an example of a government that is neither an autocracy or theocracy, which have been their traditional options for far too long. Will President Trump approve a long-term American military presence of the kind that will be needed to counter Iranian influence and to help prevent the emergence of ISIS 2.0? I've heard and read American generals saying we need to stay in Iraq this time. I suspect they are telegraphing what they understand to be administration intent rather than going off script. When I heard Sangin in southern Afghanistan had fallen so soon in the year before the traditional Taliban "spring offensive" season began, my heart sank. My how the good war has fallen. But maybe things aren't that bad. Sangin's loss, [Dr. Barnett Rubin, an Afghanistan expert with the Center on International Cooperation at New York University] contends, would be merely “a temporary tactical matter that affects morale.” There is little significance to either side in the battlefield moving a mile south, he added. It offers no clear military advantage. If there's to be reconciliation, Rubin said, it must be achieved politically. Maybe. But it is still a retreat and a loss of territory that was once defended. When last we talked about Sangin, the defenders were hanging on by their fingernails. The problem there and across Afghanistan was that Afghanistan's security forces were stretched thin enduring casualties to passively defend checkpoints, which left the enemy free to mass forces to hit those outposts; and that Afghanistan's special forces were being worn down by being the only reserve capable of checking Taliban attacks. So the line troops were getting hammered without being able to take the initiative; and the special forces were being depleted trying to bolster the line troops rather than taking the fight to the enemy. Our plan was to reduce the exposed outposts--like Sangin--to build up a mobile reserve capable of both reacting to enemy assaults to defeat them and to conduct offensive operations. That capacity would reduce the burden on the Afghan special forces to function as elite infantry. Add in more routine help from American air power rather than largely limiting it to hitting al Qaeda and ISIL. So a retreat from Sangin is part of the plan to beat the Taliban. The problem is that taking Sangin is part of the Taliban's plan to beat the government. Will the government's loss of Sangin be part of a successful plan that hammers the Taliban and sees the government go on offense to atomize and defeat the Taliban? Or will the loss of Sangin just be the start of Taliban territorial gains against the government that will break the morale of government forces? A long journey begins with the first mile, eh? At some point, you have to control the territory to win. And I don't think reconciliation is anything we should be counting on to avoid a battlefield decision. Afghanistan wants to double the number of its elite soldiers trained to block attacks from Taliban fighters and other militants. Defense officials said they would increase the number of elite special forces stationed throughout the nation to counter growing incidents of terrorism and violence, Reuters exclusively reported Thursday. Doubling the force will no doubt dilute the quality. Relying on the best troops to fight the enemy when that won't bring up the quality of the vast majority who are not up to the task seems like madness to me when the expansion of the special forces will not maintain quality if done in any time frame to have a hope of affecting the coming campaign season. Will Concentrating the Mind Disperse the Marines? After focusing on killing terrorists for 15 years, the Marine Corps is making up for lost time by exploring new technologies to penetrate enemy air and coastal defenses. “Obviously, having a revanchist Russia and a surging China concentrates the mind,” said Col. Dan Sullivan, chief of staff for the Marine Corps Warfighting Laboratory. This April, the Navy and Marine Corps will hold an exercise at Camp Pendleton, California, that will test more than 100 proposed technologies to help Marines find and exploit gaps in enemy defenses as part of amphibious operations, which will include drones, communications equipment and remote-control amphibious vehicles, officials said at a media roundtable on Thursday. I tend to think that large-scale amphibious warfare against opposition is dead because of the proliferation of cheaper and better precision weapons and a wider net of surveillance that is possible now. And even if it isn't dead, the Navy doesn't have the amphibious lift to carry out large-scale amphibious operations. But smaller Marine units are still useful for smaller scale amphibious operations that have strategic implications. And I still think (see page 38) that Marines can focus on being a rapid response force from the sea that can grab a port of entry if needed. Add in that still I think the Marines are the logical service to take the lead in urban warfare, given that fighting a dug-in enemy force in a city does mesh with their traditional role of assaulting an enemy-held shore, really. For amphibious warfare, I guess we will see if the Marines can figure out how to carry out large-scale amphibious operations under the new threats by using new tactics and equipment. Or maybe the Marines will conclude that amphibious operations have to evolve to support naval operations with air, fires, and cyber capabilities (and to deny those capabilities to the enemy) and that they need to spread out and avoid massing--and perhaps be transient in nature to avoid presenting an inviting target--to cope with an enemy that can mass firepower against the Marines more easily than the Marines can swat it away. The willingness to test ideas and technologies is the first step to figuring out what the Marines need to do. UPDATE: Operating with distributed assets (disaggregated--dispersed physically while focused on a single objective) will require robust aviation assets. I'm not sure if fighting disaggregated is enough to cope with cheap, precision firepower in the hands of an enemy. After all, the enemy can still focus on defending one objective. It may be that the Marines need to focus on dispersed smaller-scale operations that achieve numerous smaller objectives across a wider area that deny a focal point for the enemy to react. Once an enemy's fires and surveillance assets are ground down, it will be safer to focus on a single objective with disaggregated operations or even a traditional massed amphibious assault mission. I've written a number of posts on how The AFRICOM Queen (see page 50) could be used in areas other than Africa. But ultimately I think it would be most useful in the waters around Africa, supporting a more forward-leaning military role against jihadis there. I would just tell you though, again, I think it's fair to say, to characterize it, if we get some type of approval, eventually, that gives us authorities, that'll give us more flexibility, it will give us -- you know, we'll have the ability to operate probably quicker and I think -- and with that though comes at the same time -- this is really the point I want to make. This might be heresy for a COCOM to say this but I would say in the case of Somalia right now, we have adequate resources that if we were given some type of new authority, unless something significantly changed on the ground with al-Shabaab, we have adequate resources to support this. We are at war and as long as the commanders in the field know who the enemy is and what the objectives and scope of action in scale and geography are, they should have the freedom to act against enemies without making the White House staff the commander in the field signing off on every operation. And while the general says that he has the assets already to cope with Somalia issues, the situation could change. Or there might be fleeting opportunities beyond the capacity of his resources. 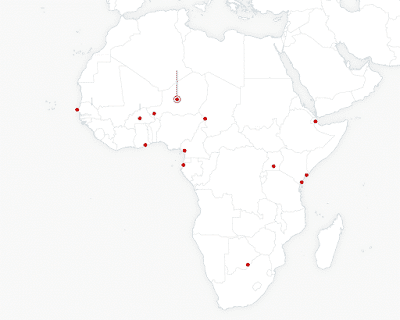 Or the threats may arise in areas farther away than the facility in Djibouti or from allied bases in Tunisia, Niger, Spain, or Italy that we use. For those contingencies, I think The AFRICOM Queen would be a good asset for General Waldhauser's command as a power projection platform. Such a modularized auxiliary cruiser could carry land-attack missiles, armed drones, and helicopters for strike missions. It could carry assets to fight pirates. It could also carry special forces, light infantry, or Marines who could deploy ashore for direct action, advisory missions, or if including a section of artillery, fire support inland. Perhaps it could even carry an expeditionary base in a box using shipping containers carried on the auxiliary cruiser to set up a bare bones drone and fire support base with a 30-day supply depot deeper inland for temporary use by American or allied troops flown in to man it. The AFRICOM Queen would also be an asset in CENTCOM's area of responsibility, taking away the risk of operating expensive Navy warships in the Red Sea or off the coast of Yemen where Houthi rebels have used anti-ship missiles and a remove control boat bomb. Heck, we have AEGIS Ashore. Could it be mounted on an auxiliary cruiser, too, for some anti-missile capacity? Add in all the other engagement missions that the auxiliary cruiser could conduct to bolster African country capacity to resist jihadis and other threats to stability, and The AFRICOM Queen is definitely an asset that could expand the general's resources to deal with threats across a very large continent. Opportunities may be fleeting and a mobile platform can move faster than a new base on land can be set up from scratch. Saving the map didn't save the labels (thanks NYT! Or perhaps it is my deficiency in knowing how to save it properly). But for the purposes of this post you can see that many places we have small numbers of troops or equipment stored (with the exception of the sizable base in Djibouti in the Horn of Africa region) are near enough to coasts to be replaced or supplemented by assets and supplies carried on a modularized auxiliary cruiser that arrives off shore. Seriously, What are We Thinking? Will nobody make our Libya policy less stupid? GNA [the Government of National Accord} controls all the government ministries located in Tripoli but the rival HoR (House of Representatives) government based in Tobruk controls eastern Libya and, more importantly, most of the oil export (and many oil fields) facilities. HoR is better organized, united and more hostile to Islamic radicals and terrorists of any sort. I remain perplexed that we don't provide support to Hiftar's HoR faction to at least bring it into the GNA. Why drive the most anti-jihadi faction into Russia's arms that not only provides Russia the opportunity to regain bases there but also buttresses Iranian conspiracy theories that America created jihadis to make Moslems look bad and give America the excuse to take control of the Middle East? Russia likes portraying themselves as the true foe of ISIL while they pursue their narrow interests even as America carries the load in fighting the terrorists. I was not in favor of taking down Khadaffi considering he voluntarily gave up his nuclear program after the fall of Saddam's regime. Fear was the beginning of a bit of wisdom. We had enough problems without bringing Khadaffi to justice as long as he was out of the jihadi-supporting game. If Europe was worried about refugees from the unrest, let them handle it, I thought. But I was no fan of terrorist-backing Khadaffi even in his "new and improved" form. And when President Obama put our credibility on the line for getting rid of him, I could back it even as I worried that it would take too long to succeed. I was wrong on that, and the coalition endured a long air-based campaign against Khadaffi without fragmenting. The pro-Khadaffi propaganda war never seemed to take off in painting the war as bombing brown people for oil. But I was also wrong that the Obama administration with all its big-brained nuance and complaints about the post-war plans of the Bush administration for Iraq would at least have better plans for the post-war. Or the Europeans, from the birthplace of nuance, would have a plan other than hoping America would do the job. Yet even as jihadis have regenerated to be a major threat to the region since America's battlefield victory in Iraq in 2008 was sabotaged by our withdrawal from Iraq in 2011, we did not offer support to Hiftar who rejects jihadis when the GNA has disturbing Islamist ties. I just don't think our diplomats are playing three-dimensional chess above my pay grade. I think our diplomats are stumbling around stepping on rakes. Stop that. Welcoming Their New Insect Overlords? If the Philippines won't resist China's subliminal war to take Scarborough Shoal by building structures on it because China is stronger than the Philippines, where does that logic stop? At Subic Bay? Manila proper? The Malacañan Palace? "We cannot stop China from doing (these) things," Duterte told journalists when asked about the reports. "What do you want me to do? Declare war against China? I can't. We will lose all our military and policemen tomorrow and we (will be) a destroyed nation," he told a press conference before departing for a visit to Myanmar. Duterte said he would tell the Chinese: "Just keep it (the waters) open and do not interfere with our coast guard." He also brushed aside concerns over Chinese survey ships that had been seen near Benham Rise -- waters east of the main Philippine island of Luzon that have been recognised by the United Nation as indisputably Philippine territory. Duterte assumes a full-blown war without any allies is the only scenario. Yes, one-on-one, China would crush the Philippines in a war. But China would risk war with America and Japan (and maybe South Korea, Australia, Vietnam, Singapore, and who knows who else) with a full blown war with the Philippines. China might fight that war if pushed, but they won't easily choose to fight that full-blown war. So the Philippines has options to win a small clash or battle that China won't want to risk escalating to levels that the Philippines can't match alone. Although China is preparing for those small land wars for small islands, too. Duterte thinks that China's territorial ambitions can be sated. He is wrong. Benham Rise will appear on China's official map of what they claim for the "city" of Sansha if the Philippines doesn't stop China before that. The ISW plan for Syria rejects partition as accepting a rump Syria under Assad's control and a jihadi caliphate in another portion. I agree. Even when I suggested a partition, I initially wanted it to weaken Assad while avoiding a lot of long-term problems that we did get. But I soon believed that support for partition had to be a stepping stone to defeating Assad. An Assad controlling western Syria gives Assad the key portion of Syria that Russia can use to contest control of the eastern Mediterranean Sea and for Iran to support Hezbollah and Hamas for war on Israel. I'm not sure what I think of the ISW plan, but that notion is good. And it has the advantage of being an actual plan intended to win rather than the placeholder campaign that allowed President Obama to leave office without having a plan to win the war. And yes, as that ISW plan notes in an aside, it would have been better to strike north in 2014 to take back Iraqi territory rather than still being in the position of rooting out an entrenched ISIL from Iraq in 2017. I recognized that the Iraqis were incapable of quickly doing the job but hoped to find a core trained mobile force to spearhead the drive against the relatively small ISIL "army" quickly as America did in Afghanistan in 2001 and as France did in Mali in 2013. But no, we gave our enemy the most precious of assets--time. Congress is worried about the vulnerability of our military production supply chain. Yeah, me too. Turkey's Erdogan continues to round up "coup supporters." If that July 2016 coup had as many supporters as Erdogan's arrest record suggests, the coup would have worked. Annals of Fake News: Trump's proposed budget would not de-fund Meals on Wheels and the Republican platform plank on Ukraine was not weakened--by Trump or anybody else. Silly me, even I believed that such oft-repeated claims had to have a grain of truth. My bad. On future budget matters, never forget that a 1% reduction in an agency's budget must always be coped with by slashing public hours by 60% rather than replacing executive leather chairs with vinyl. What? No Nobel Prize for potential? "This year, for no apparent reason, Chelsea Clinton, the daughter of former President Bill Clinton and former Presidential candidate Hillary Clinton, will get a [Variety magazine] 'lifetime achievement' award for her service to…well, that part’s not quite clear." Tip to Instapundit. More and more, the Democratic party reflects that old SNL "white like me" skit about white people giving each other stuff for free. I remain unclear on why it is necessary to fake Nazi hate crimes when we are supposedly living in a Nazi state. France will send one of their Mistral amphibious warfare ships to the Pacific to exercise with American, Japanese, and British forces. Good for them. The United States Army is working on the ability to project military power into Poland to deter Russia. But it will take time to develop the logistics desert that is eastern NATO right now. Which is why Russian accusations that NATO is a military threat is farcical. Is it really a significant trend for Saudi women to flee abroad to escape the restrictions on their lives that something--whatever that might be--imposes on them? And yes, part of the problem is from local cultural practices and not strictly speaking the religion itself, although the locals defend the cultural problem on religious grounds. It isn't fair to blame every local human rights issue in a Moslem country on Islam itself, remember. Russia's defense budget is under stress and declining at least a bit, at least in inflation-adjusted terms, but it is not dramatic as some reporting has it. Apparently some artificially high spending pushed into one year overstated the next year's much lower budget. And Russia is managing to expand and modernize their military whatever the budget is. Ah, remembering the Soviet Union's commitment to the well-being of their people. Tip to Instapundit. In the Cold War, there were people here who claimed communists were better stewards of the environment and people than democracy. Not so much. China demanded that one of our bombers flying in international air space over the East China Sea get out. Freedom of aviation is necessary to push back against China's attempts to turn an air defense identification zone over international waters into sovereign territory. In a cross between Lost and Survivor, Venezuela's inept socialist strongman on live TV chides his people for not being a more capable class of people in the face of the wreckage his policies have created. Also, the beatings will continue until bread supplies improve. Please alert Sean Penn and Danny Glover. Ah yes, after the London terror attack, the fear that dare not speak its name: "For hours and hours after the attack (which happened at 2:40 p.m.), the media didn’t identify the attacker, only hinting that he was thought to have been “inspired by international terrorism,” which sounded like a PC euphemism for Islamic terrorism." Funny enough, the media had no problem calling the suspect "Asian," thus potentially putting the blame on some random Japanese, Chinese, or Indian man. Could have been a North Korean, eh? But the media by their euphemisms and non-reporting isn't so much afraid of inspiring the anger of jihadis--who clearly hate us sufficiently already--as it is provoking leftists into a Red Tweeting--which was over real insensitivity to Asians. And surprise! The attacker was a known wolf. And even though the man was seen as a criminal and not a jihadi, authorities really need to keep in mind that false religious faith is the last refuge of a scoundrel. Russian special forces (?) may have set off explosions at a major Ukrainian ammunition depot near Russia at Slovyansk. Let's hope Ukraine moved the massive small arms stockpile they had at Slovyansk that Ukraine lost control of for a bit. And a related Russian killing in Ukraine, no doubt. After the Left and Hollywood set a record pace of Nazi comparisons in their attacks on the Trump administration, an actor's Nazi comparison finally went too far--he complained that being a conservative in Hollywood is like living in 1930s Germany. To be fair to Allen, that was at least before the death camps stage. But I'm a glass half-full kind of guy. Does this mean that comparisons of anybody but actual Nazis (or Stalinists or Maoists) to Nazis is out of bounds now? The Russians are so thrilled by the election of Trump that the Russians may be supplying the Taliban. Effing Russians. The Russians deny the charge. But they also deny invading Ukraine. Are concrete barriers counter-productive to counter-insurgency in cities? Barriers to free movement of insurgents and terrorists is COIN 101. I accept that success on the battlefield has to be followed by success in politics and that barriers must eventually come down to do that. But battlefield success has to be achieved. Iraqi forces are pausing in Mosul, where they have half of western Mosul and all of eastern Mosul under control. Is the pause because of tougher ISIL resistance or the nature of the densely packed population? One part of the pause is to bring in more snipers. Which indicates more of the latter to reduce the need to call in smart bombs or rounds to take out a target with civilians way too numerous and way too close. As an aside, it is common to mock ISIL leadership for "running" while the foot soldiers are left to die. Which is fine as propaganda to undermine enemy foot soldier morale. But experienced leadership is an asset that should be preserved for future fights. Remember that after American forces liberated Fallujah from al Qaeda control in fall 2004, the survivors fled to Mosul and destabilized that city. Recall also that we pulled General MacArthur out of the Philippines rather than let him be put in a Japanese POW camp. We needed his skills and eventually he did return with an army to the Philippines. It would be nice to shame ISIL leaders to die in place. But don't count on it. So beware where the ISIL leaders return to. Standard Democratic and media practice is to demonize the current Republican leader as a Nazi--in stark contrast to the past Republican leader in no danger of assuming power who was a reasonable guy the Democrats could do business with. Cue the media rehabilitation of Bushitler. How long before the Iraq War, that the Obama administration claimed was a success that had to be defended after the eruption of ISIL, is no longer wrongly termed "disastrous and unnecessary?" In last week's data dump, I noted that FWIW I thought the Ryan plan on Obamacare should be passed. It was pulled before a vote this last week. Prior unity was built on the knowledge that an Obama veto would make the bill details moot. I fear that this week some Republicans let the pursuit of the perfect be the enemy of the good. The end result is that Obamacare remains and the Democrats have been given time. Who knows? Their horse might learn to sing. I have to conclude it was a mistake to fail to pass this bill. I admit I am jealous. The Democrats rammed through Obamacare with only minor resistance within their party overcome by bribes to a few legislators (termed, I believe, the "Louisiana Purchase" and the "Cornhusker Kickback," for a couple of the bigger bribes), with admirable party discipline despite the nature of the bill that even Bill Clinton said was "crazy" in a more lucid moment during the last campaign. Purity is great in opposition. Governing requires compromise even in your own ranks. We'll see. Oh, and related to the above Obamacare repeal failure news, isn't it an odd New Hitler who is totally planning to round up people for concentration camps who can't get his minions to partially repeal past health insurance legislation? It's kind of funny that Republicans stopped the legislation without "the Resistance" needing to head out into the night to knock down that telephone line near the Trumpenbunker. Yeah, this is totally a problem. I have almost always dated liberal women, this being Ann Arbor. And I've met some very nice women, I hasten to add. But the new inability by women to separate politics from personal is distressing. The last 12 years or so have been challenging on the political divide front, and since November the dial has been turned to 11. After being away, I'm hesitant to waste my money by returning to online dating because of this issue. It will always be the greatest assault on the English language to conflate being "liberal minded" with being "open minded." As a conservative, I'm the one who is supposed to be close minded and intolerant. Go figure. Chechens attacked a Russian National Guard base in Chechnya, killing 6 Russian troops. ISIL took responsibility. But resistance to Russian rule conflates jihadism with national liberation. Note that the National Guard is the new military branch Putin set up that answers to him personally. Apparently this is blogs sweeps month, however that works. So ... Haley Clauson. I think a "holy cow" is in order. We might be near peak oil demand. I've always believed we'd run out of demand for oil as the bedrock of our economy long before we run out of supply--as is true for any other resource we once used. For real fun recall that jihadis hate the West for "stealing" oil from Moslem countries when we buy it for a price that doesn't impoverish us. Wait until you see how they react when we have little interest in buying it for any price. Vietnam is very upset about the South China Sea cruises of China's Love (to Own it All) Boat. Are the Netherlands security services paying attention to what is happening in the Western Hemisphere? A Colombian official said a four-day incursion into the country by Venezuelan troops may have been linked to Colombia's call for elections in the troubled, neighboring south American nation. Around 60 Venezuelan soldiers crossed the border into Colombia Monday night and raised their national flag in a camp they set up on a plantain farm. The troops withdrew Thursday after President Juan Manuel Santos called his Venezuelan counterpart Nicolas Maduro to protest what he called a "totally unacceptable" violation of Colombia's sovereignty. A video provided by Colombia's Defense Ministry show the Venezuelans lowering their flag hoisted on a giant bamboo stalk and then slowly wading across the parched Arauca River that divides the two countries as dozens of Colombian troops heavily armed with assault rifles look on. Maduro would have to be far more stupid than he appears to be to think, as he scans his neighborhood for a convenient foreign enemy to rally his starving population, that a conflict with Colombia's battle-hardened military would end well for Maduro. I've long felt that the proper foreign enemy for Venezuela's nutball ruling elite would be the Dutch and their offshore islands conveniently dangling before the Venezuelan military. Yes, Hugo Chavez painted the Dutch as a threat, and so does that Mini-Me Maduro. Yes, raise the false banner of "anti-colonialism" to justify a real crackdown on domestic opposition that includes raising the Venezuelan flag over islands of the Dutch Antilles to dilute Latin American opposition to a domestic crackdown. The Netherlands has a decent if small military. Venezuela's military is in poor shape. With limited direct NATO help plus logistics backing, the Netherlands could, given time to mobilize and deploy an expeditionary force, smash up Maduro's forces in a replay of the Falklands War. Indeed, thinking about how we might help the Netherlands logistically ultimately led to The AFRICOM Queen proposal (see page 50). Would part of the NATO Reaction Force be committed to help the Netherlands when Russia is the prime focus of that force? Would the European Union try to show its worth to members by trying to organize a force under their banner to help the Netherlands? The Axis of El Vil still hangs around, stinking up the Caribbean Sea, and threatening to be a real security and humanitarian problem rather than an annoyance. Is Turkey's effort to fight ISIL and destroy their caliphate in Iraq and Syria motivated at least in part by a dream of Erdogan to build a Neo-Ottoman Empire as the true caliphate? Turkish flirtation with Russia may well be a first stage in separation from alliance with the West that was necessary when long-time enemy Russia (and the Soviet Union with their Warsaw Pact empire) bordered Turkey. But now Russia doesn't border Turkey and so the post-Cold War weaker Russian threat is finally at arms length. Turkey may have room to maneuver between America and NATO on the one hand and Russia and China on the other to expand their zone of influence back into old imperial grounds. Turkey's action potentially affects all 22 NATO partner states, including Sweden and Georgia, some of which contribute troops to NATO missions in places such as Afghanistan and Kosovo. The firestorm indicates that Turkey under the AKP is increasingly resolute in its turn away from the West, and toward eastern friends such as Russia. “That is something relatively new. It’s more than rhetoric,” says Cengiz Aktar, an expert on Turkey-EU ties at the Istanbul Policy Center of Sabanci University. Erdogan’s inflammatory accusations are not merely anti-EU posturing. Turkey and the West are undergoing an increasingly acrimonious divorce, with both sides shedding former illusions about their shared values and interests. Erdogan has locked up tens of thousands of people on the flimsiest excuses, committed extraordinary human rights abuses, and abandoned every principle that the EU believes in. More fundamentally, he has destroyed the best hope in a generation of genuinely Islamic form of democracy, and is currently stoking Islamophobia in the West and xenophobia in Turkey. "Turkey is not a country you can pull and push around, not a country whose citizens you can drag on the ground," Erdogan said at an event for Turkish journalists in Ankara, in comments broadcast live on national television. "If Europe continues this way, no European in any part of the world can walk safely on the streets. Europe will be damaged by this. We, as Turkey, call on Europe to respect human rights and democracy," he said. Somebody recalls a march to the gates of Vienna with some regret that it failed, it seems. Building-size billboards feature a giant likeness of Mr. Erdogan urging the nation to vote “Yes.” On TV networks, government officials brand those opposing this executive presidency plan as traitors or supporters of terrorism. Finding any evidence of the “No” campaign can be mission impossible. And yet, despite such a charged environment, a referendum victory for Mr. Erdogan looks surprisingly uncertain. Opinion polls keep showing a nation starkly divided along the middle—with a significant part of Mr. Erdogan’s own Justice and Development Party, or AKP, electorate balking at the idea of scrapping Turkey’s tradition of parliamentary democracy. We'll see if Erdogan will let mere voting if it goes the wrong way derail his democracy exit (Dexit?). Since opening its new embassy in Mogadishu in mid-2016 the Turks have gone on to build a military compound between the capital and the airport. The new embassy compound is near the beach and is the largest Turkish embassy in the world. Since 2011 Turkey has provided more than $900 million in aid for Somalia and the new military base will be used to train Somali soldiers as well as troops from other parts of Africa. Turkey is making a statement; that is will help Somalia and will not be driven out by threats. Turkey's major effort in Somalia is odd if you see it as a purely humanitarian effort. Although it has value as an effort to leverage the move to claim a leadership role for Turks in the Arab Moslem world that defined the first Ottoman Empire's southern provinces. 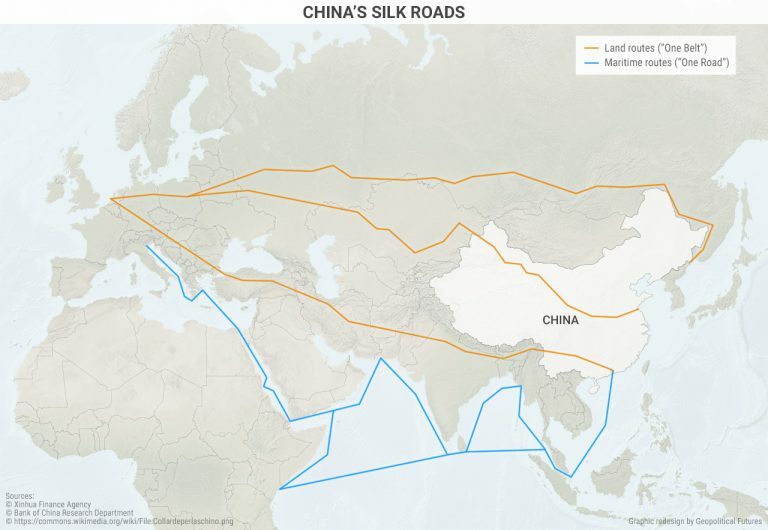 And as an effort to complement China's reach to Europe and the Middle East through the Indian Ocean route of the "New Silk Road," it makes a lot of sense. And that cooperation with China might just be a point of leverage to weaken and balance rivals in the region until the Neo-Ottoman Empire can try to exert control on its own. A more robust indigenous Turkish defense industry would be the ultimate goal of first diversifying weapons sources from the West to Russia and China in order to gain freedom to maneuver between those power centers. Berlin has rejected more than 10 applications for arms exports to Turkey in recent months, the German daily "Süddeutsche Zeitung" (SZ) reports, citing a letter from the Ministry of Economic Affairs. The ministry was answering questions by the left-wing MP Jan van Aken. As a NATO partner, Turkey is rarely subject to restrictions on arms exports. But there are concerns that since last July's coup attempt, Turkish President Recep Tayyip Erdogan has launched a far-reaching purge of political opponents. With Russia pushed back and perhaps courted as even a frenemy with China available as another counter-weight, Erdogan find he doesn't need the help of a weak Europe to help Turkey defeat the Russian threat. And Erdogan certainly doesn't need a Europe to hector him on human rights and democracy when that interferes with rebuilding the Ottoman Empire. I assume Erdogan thinks he can rebuild the Ottoman Empire before Putin can rebuild the Soviet Union. Democrats are up in arms that Russia interfered in our last election. Ah, now that they were targeted they complain. But this is not just amusing. Democratic outrage about pro-Russia attitudes will just include far more of them in the Russian blast radius. And it could actually contribute to a war atmosphere. I have not been up in arms over the Russian propaganda effort. I don't like it. I want it stopped. But all my adult life I've seen the Russians doing this--generally to harm Republican who were seen by Russians (of the Soviet variety, too) and Democrats as unduly hostile to the Soviet Union/Russia. [Representative] WENSTRUP: Thank you, Mr. Chairman. Thank you gentlemen for being here, I appreciate your endurance in this effort today. One question, how long has Russia or the Soviet Union been interfering or attempting to interfere with our election process? ROGERS: In the report we've feebly (ph) talked about, we have seen this kind of behavior to some degree attempting to influence outcomes for decades. Yes, technology has made the Russian effort more widespread (in both gathering information by hacking emails and by spreading propaganda) and visible to us. But 2016 was nothing new. But now that the Russians hit a Democrat, liberals have discovered their inner Cold Warrior. "Just this morning on the news, I forget who it was, but there was someone who said that the Russian efforts in the U.S. election was an 'act of war,' Army Chief of Staff Mark Milley said during New America's Future of War Conference Tuesday morning. "That's pretty strong language, and, if it's an act of war, then you've got to start thinking of your response to that sort of thing. So, I would caution people about use of the term 'war' and make sure that we're clear-eyed about what war is and what it isn't." The Army, which would bleed the most in a war with Russia, has reason to be wary of having to back Democratic rage with war when the Army knows damn well that when the going gets tough, Democrats will get going to war crimes accusations against our soldiers and calls to lose the war they once backed with indignant fury. There is no lack of flexibility in their ranks. What Russia did--and has done even before the Democrats noticed it (and say, will the Left condemn Green candidate Jill Stein and other leftists for appearing on Russian propaganda so often?) --should be blocked. But it is not an act of war. Take a deep breath. Not that I think Russia's intervention in 2016 worked to influence voters, let alone hack our election systems. I think the highly visible Russian effort (it's almost as if the Russians wanted to be discovered, eh?) was a spectacular failure, in fact, because it was likely designed to harm the assumed winner Clinton and highlight America as a corrupt place with faux democracy unworthy of emulating that elevated Clinton rather than the deserving underdog Trump to the White House. But I do find it funny that Democrats are suddenly watching Doctor Strangelove as a how-to manual. Welcome to the anti-Russian party, guys. By all means, let's block the Russian propaganda effort and respond in that arena. Perhaps we can broaden the search for Russians under Republican beds into an inquiry into Democratic flexibility for Russian objectives, eh? But ease back on the war talk even though it hurts to be on the receiving end of this long-standing propaganda effort that you got used to benefiting from.